Hotels on Spain's Costa Blanca have stopped installing minibars in rooms after accusing 'mostly British' tourists of refilling bottles with urine. A recent survey found that one-in-three tourists admitted having drunk bottles from the minibar and then refilling them with water or other liquidas to avoid paying over-inflated prices for them. 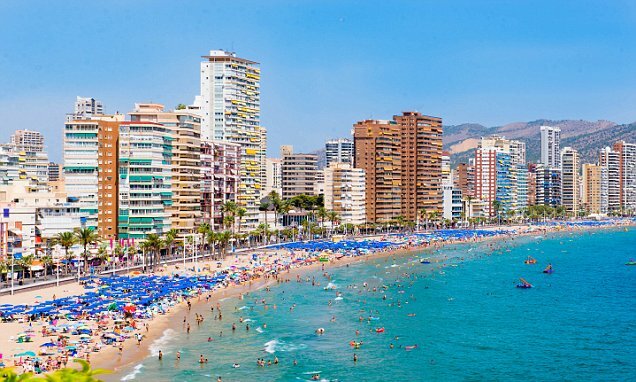 And according to Hosbec, a hotel association for Costa Blanca and Benidorm, Brits are among the biggest culprits. A spokesman for the group told local media: 'It may seem ridiculous, but I can assure you it is true.